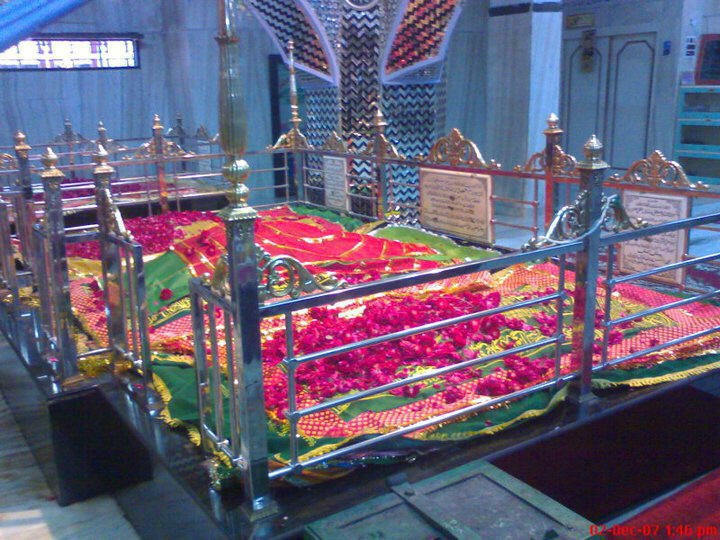 Inside the Mazaar Shareef of A'la Hadrat Ash Shah Imam Ahmed Rida Khan Muhaddith Bareilwi (alaihir rahmah). 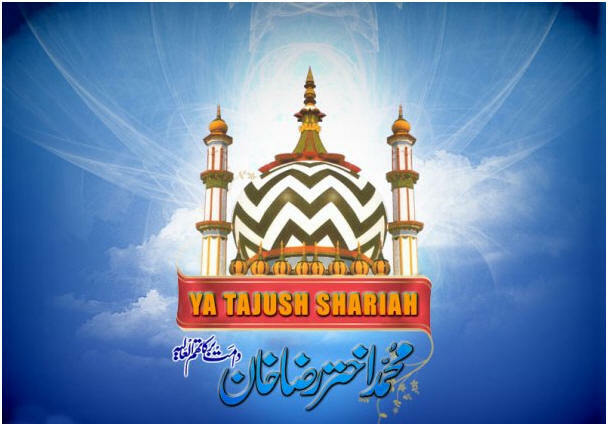 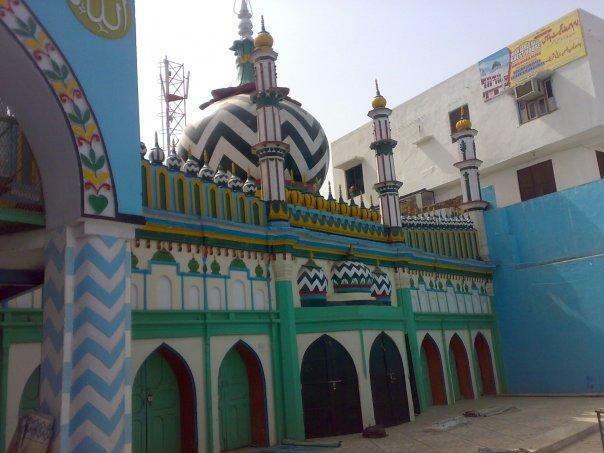 In the Centre is the Qabar Shareef of the great Imam (alaihir rahmah), on the right hand side is the Qabar Shareef of Huzoor Mufti-e-Azam Hind (alaihir rahmah) and on the left is the Qabar Shareef is Maulana Rehaan Raza (alaihir rahmah). 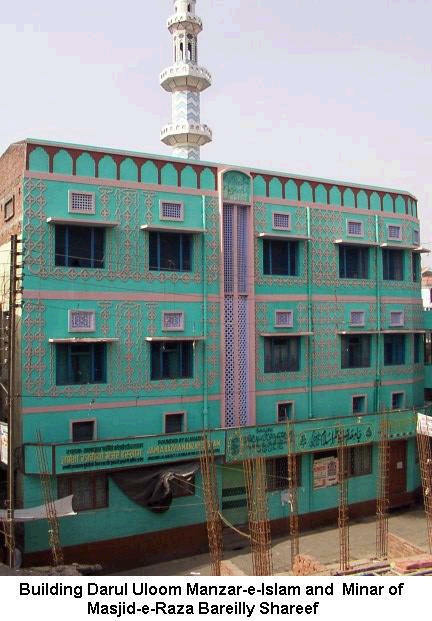 A Collection of important manuscripts and books is in the background as a Library. 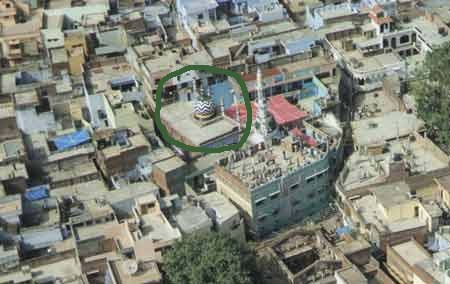 Helicopter View of the Mazaar Shareef of Imam Ahmed Rida (alaihir rahmah) in Bareilly Shareef and showing the Darul Uloom Manzare Islam and the Hostel. 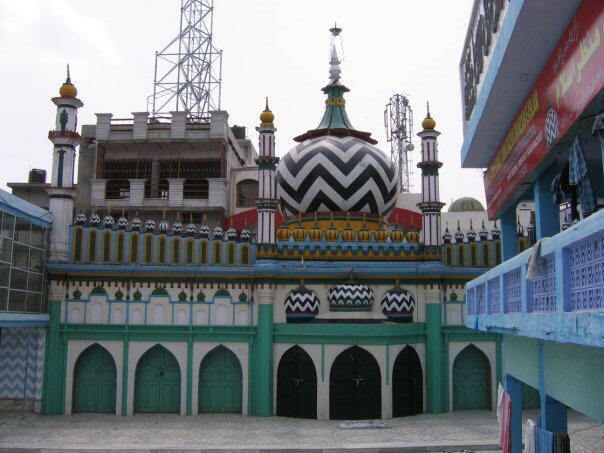 The houses of the Khandaan of the great Imam are all situated around the Mazaar complex. 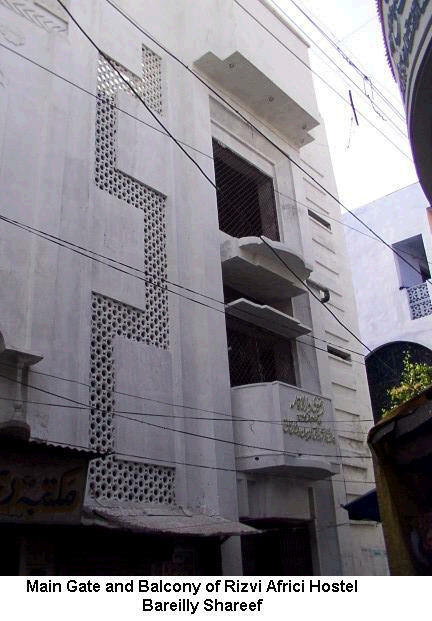 Notice that the area is well populated with narrow streets. 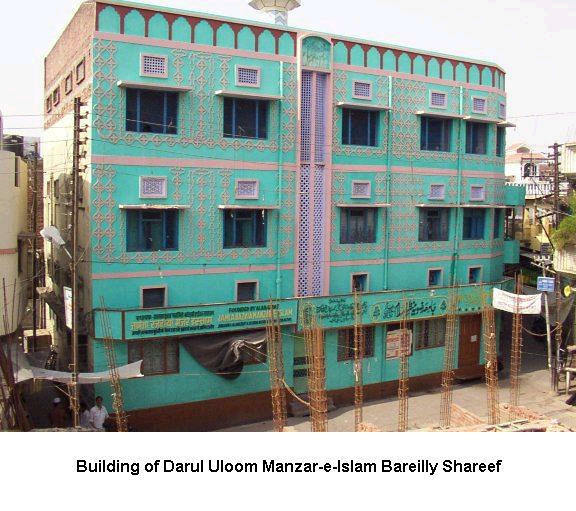 Different views of Darul Uloom Manzare Islam in Bareilly Shareef from which hundreds of students qualify each year.